Besides determining whether Pennsylvania Superior Court judges went too far in interpreting facts in overturning a $21 million auto insurance bad faith judgement against Nationwide, the state Supreme Court will also examine the carrier’s responsibility for the quality of the collision repairs at the heart of the case. Both Nationwide and Mayerson Law this week provided statements on the Supreme Court’s decision to hear the case. “We are pleased but not surprised that the Supreme Court of Pennsylvania granted review because this is a case of substantial public importance, involving issues of highway safety and reasonable access to our courts,” plaintiff attorney Ben Mayerson said in a statement. “The handling of collision repair claims is important to all the citizens of this state. Insurance companies undertaking collision repairs through direct repair programs must pay equal attention to safety as to cost containment. Equally important is making certain that insurance companies never apply a litigation strategy against its own insured designed to price its insured out of court. The Superior Court majority held in a 2-1 decision that Common Pleas Judge Jeffrey Sprecher overreached in finding Nationwide’s behavior in Berg v. Nationwide constituted bad faith. Nationwide had suggested plaintiffs Daniel and Sheryl Berg (who died during the course of the litigation) have their 3-month-old, leased 1996 Jeep Grand Cherokee repaired at one of its direct repair program shops following a 1996 crash, according to a 2017 summary of the case by collision industry attorney Erica Eversman and another summary by plaintiffs’ attorney Mayerson Law. Four months later, the Jeep Grand Cherokee work was finished. It was unsafe but Nationwide either didn’t inspect it as it should have or did inspect it and didn’t tell the Bergs, Sprecher concluded in 2014. In order to determine if “it looked like the vehicle was repairable,” the Jeep had to be inspected. Lindgren’s Mr. Joffred and Defendant’s Mr. Witmer both agreed; therefore, regardless if Lindgren did the inspection and Defendant did not; it was Defendant’s choice and duty to inspect or to take the risk of relying on Lindgren’s inspection. In either case, Defendant is liable for the action or inaction. The findings of this court are that Defendant did inspect the Jeep and even if it did not as it claims, it should have. It had a duty to the customer to do so. Lindgren is Defendant’s Blue Ribbon repair shop. Among the bad-faith behavior alleged in that document: Nationwide’s refusal to sell the Jeep to the Bergs’ attorney followed by its destruction of what Sprecher called a piece of “vital evidence.” Sprecher also declared it bad faith that Nationwide waited until the Bergs had finished all lease payments on the Grand Cherokee to total it. He awarded $18 million plus another $3 million based on what Nationwide paid in its own attorneys. The Superior Court’s overturning of Sprecher’s decision appears to mean that Nationwide would only be responsible for the $295 in actual damages a jury awarded for finding Nationwide violated Pennsylvania’s unfair trade practices law. The jury also determined the main body shop in the case, Lindgren Chrysler-Plymouth, should have to pay $1,925 in compensatory damages. The dissent by President Judge Emeritus Correale Stevens mentioned that plaintiff’s insurance claims expert James Chett, a former Alliance Insurance employee, “testified insurers have an obligation to ensure vehicles are repaired safely and that Nationwide was contractually obligated to pay for repairs to the jeep. Although the Majority interprets the evidence to the contrary, the fact that the repair job was to take about twenty-five and one-half days to complete, but instead required four months, further supports the trial court’s conclusion that the vehicle was not capable of a safe repair. 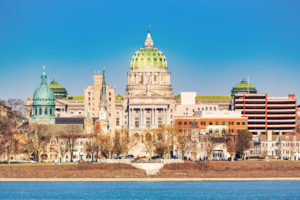 In their September 2018 petition for reconsideration by the Supreme Court, the plaintiffs argued that “Pennsylvania law and insurance industry standards” both impose a duty to inspect repair quality. … where a collision insurer has agreed to repair and actively takes the matter in hand, making all necessary arrangements, the reasonable conclusion is that the insurer thereby assumes the duty of having the repairs made with due care; and it is not relieved of this duty merely because it chooses to select an independent contractor to make the repairs, and refrains from exercising any supervision over his work. When an insurer elects to repair under a clause in the policy giving that right, the conditions of the contract which before were alternate, are thereby resolved into an absolute agreement. It must be assumed that the election was made in view of all such matters, as in the law or otherwise may affect the transaction, and the principles of law incident to the alternative chosen are alone applicable. The amount of the loss ceases to be a question; there can be no inquiry as to that. The original contract, by virtue of the election, is a contract to rebuild, and the rights and responsibilities of the parties are to be measured accordingly. 1. Pay you directly for a loss. The majority incorrectly felt “‘Appellant’s contractual obligation under the policy in this case was to pay to repair the Jeep,'” according to the Bergs. If the Bergs are right, the Superior Court majority might be getting tripped up on a confusing reality of some auto insurance policies: “Electing to repair” isn’t necessarily the same as paying for a loss in the form of the cost to repair a vehicle. In an election to repair, the carrier is making repair decisions and becomes like a general contractor — with all the liability that generates. In the other, the vehicle is still getting fixed, but the customer is in charge. The insurer reimburses the customer for the bill but doesn’t get involved with what’s actually done on the vehicle — and therefore holds no liability. We asked Mayerson about this interpretation. “I believe you are correct; if the insurer simply writes a check without involving its designated repair facility AND does not attempt ‘manage’ the repairs, I believe its duty of good faith is extinguished upon payment,” he wrote in an email. “I do not believe the Court will find, nor are we going to argue, that every repair must be inspected by the insurer. Sprecher’s judgment describes a Nationwide that could be argued to be managing the repair, and the fact that the check was cut directly to the DRP shop — with the Bergs not even listed in joint-payable status — does suggest a contractor-subcontrator relationship. The Superior Court majority and Nationwide disputed the idea that the carrier had “vetoed” the shop’s total loss judgment, describing this as unfounded by the record. In addition, Nationwide pointed out in its answer to the plaintiffs’ appeal petition that Lindgren Chrysler-Plymouth estimated Sept. 10, 1996, the repair would cost $12,326.50. The shop’s estimator Doug Joffred testified his first impression was that the Jeep was a total, but sometimes vehicles thought to be a total weren’t, according to Stabile’s majority opinion. Witmer didn’t even inspect the Jeep until Sept. 24, 1996, Nationwide stated. The Sept. 24, 1996, claims log “REPAIRS ARE APPROXIMATELY 50% of ACV NATIONWIDE WILL NEVER RECOVER THE DIFFERENCE IN SALVAGE VALUE,” doesn’t mean Nationwide overrode the body shop’s initial analysis, according to Nationwide. The dissent quotes Joffred as concluding after a teardown that he felt the vehicle was a structural total loss but changing his mind after talking to Nationwide. Though as Nationwide pointed out, he also testified he was never overridden or had his arm twisted regarding that analysis. 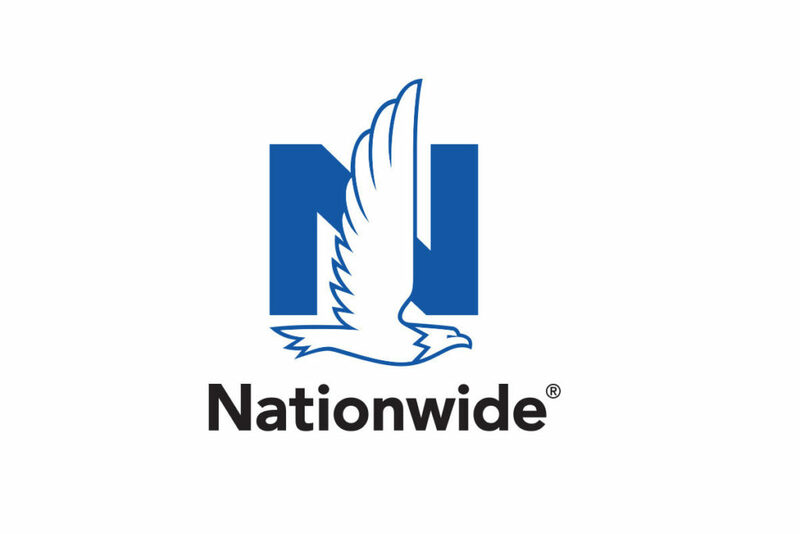 Nationwide in its answer to the Supreme Court argued that the Bergs were trying to say Nationwide had a duty to verify every vehicle was repaired correctly or be in bad faith. “This question does not warrant this Court’s review because no such duty exists, and even if it did exist it would not prove that Nationwide acted in bad faith,” counsel for Nationwide wrote. Nationwide argued that the court precedents were old and didn’t apply because it only paid for the repairs and didn’t perform them. Nationwide also noted that the precedents quoted by the Bergs on the duty-to-inspect issue never declared that failure to do so would be bad faith.